Feature for feature the XZ2 models give you more. All of our XZ2 models feature Synchro-Steer the industry’s first zero-turn system with steering wheel control and four-wheel steering system, delivering unmatched manoeuvrability and stability. The steering and drive are perfectly synchronised to ensure the exact speed and direction of each rear wheel whatever the position of the front wheels. 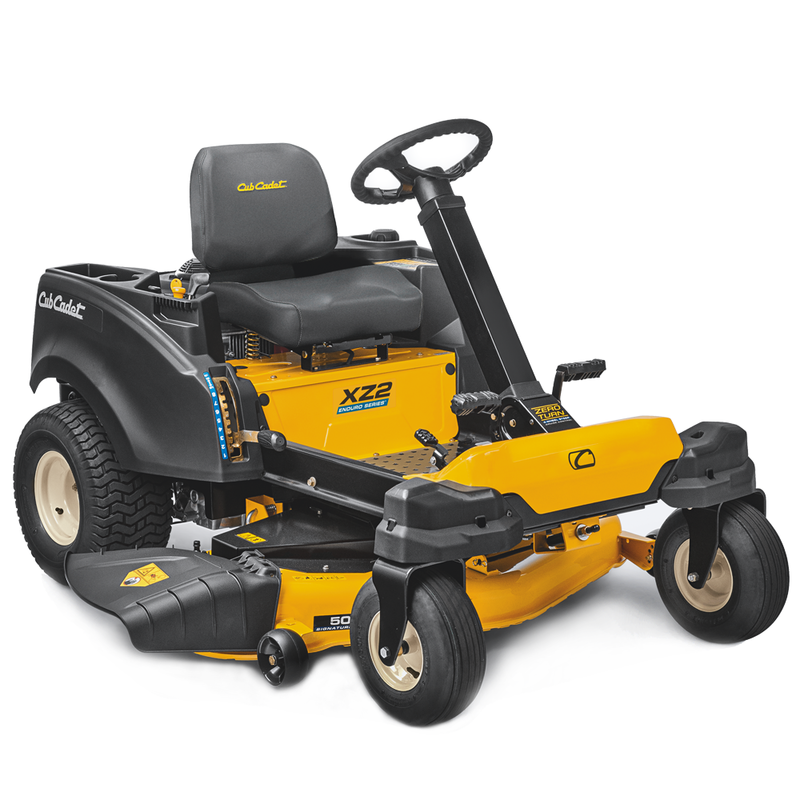 From the power of a professional-grade engine to its unbeatable efficiency and durability, every mow is as strong as the last with the XZ2 range. 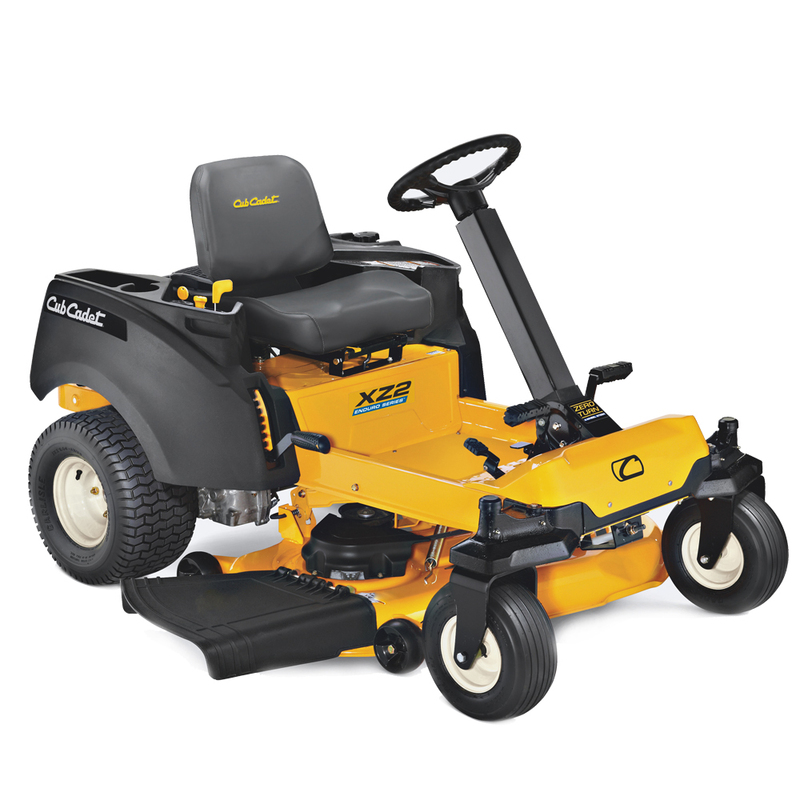 The dual hydrostatic transmission provides you with optimal manoeuvrability. The seat and backrest upholstery is specially designed for comfortable, fatigue-free working, even for extended periods. A convenient and reliable way to start your engine of the XZ2 107i and XZ2 117i. All XZ2 are equipped with a quick adjustable steering column to perfectly suite your height and needs. For the first time, the XZ2 107i and XZ2 117i models feature an engine we manufactured in house. The two cylinder drive comes with exceptional performance and efficiency saving you fuel and money and keeping maintenance costs low.